We are using CRISPR to engineer cassava with reduced levels of the poison cyanide. 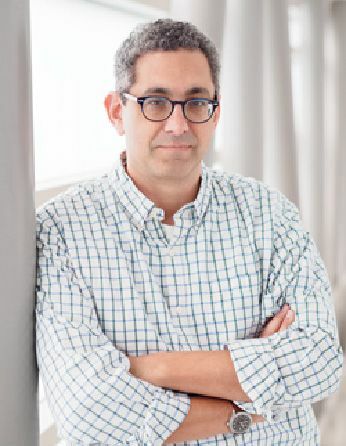 Daniel Rokhsar is a Professor in the Department of Molecular & Cell Biology at the University of California, Berkeley. The Rokhsar lab focuses on understanding the origin, evolution, and diversity of animals (and, more generally, other groups of eukaryotes) by combining computational genome analysis with comparative developmental biology. 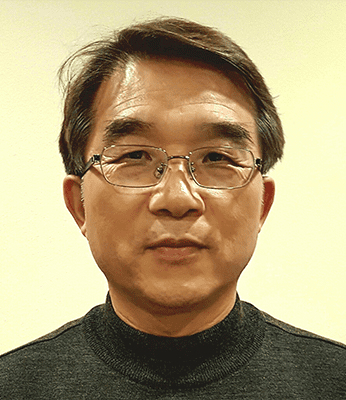 Myeong-Je obtained his B.S. and M.S. in Agronomy at Seoul National University and his Ph.D. from the University of Illinois, Urbana-Champaign. He was a postdoc/specialist in PMB at UC Berkeley and became VP of Byotix, Inc. 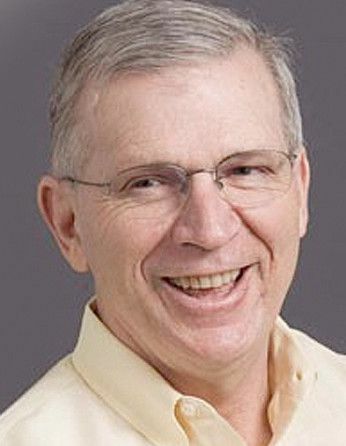 He later worked at DuPont Pioneer for 11 years prior to joining the IGI in 2016 to run the Plant Genomics and Transformation facility. Cassava or yucca (Manihot esculenta Crantz) is a staple food for over 800 million people worldwide. This starchy root crop is a major source of calories for roughly 40% of Africans and an excellent food security crop due to its tolerance for drought and marginal soils. A major challenge, however, is the presence of toxic cyanogenic glucosides in cassava, which must be removed from cassava by post-harvest processing. Excessive consumption of cyanide, in combination with protein-poor diets, causes the toxico-neurological disease konzo, a disease of poverty that affects ~100,000 people each year. 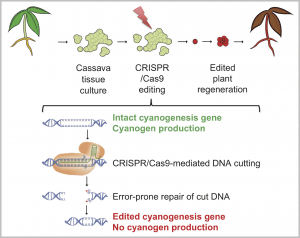 We will modulate the levels of toxic cyanogenic glucosides in cassava using CRISPR-Cas9 editing. We will initially use Agrobacterium-mediated delivery, which has already been demonstrated in specific cassava cultivars. In parallel, we will also develop and apply DNA-free CRISPR-Cas9 ribonucleoprotein (RNP) delivery methods for cassava, which would obviate drawn-out regulatory hurdles. Importantly, smallholder farmers grow a variety of diploid genotypes with desirable characteristics. While it is impractical to apply the slow methods of conventional breeding to such a diverse set of cultivars, genome editing can in principle be applied directly to any existing germplasm. We will knock out, singly and in combination, the genes CYP79D1 and CYP79D2, which catalyze the synthesis of the principal cyanogens in cassava. Knockouts of these genes will allow us to answer outstanding questions about cyanogens, including the mechanism by which drought-stressed plants upregulate their production in leaves and roots, and the relationship between cyanogenic glucosides and protein synthesis. We will assess the impact of the CYP79D knockouts by measuring cyanogenic glucoside levels, and by analyzing the growth of the plant, including its tuberous roots. We will also analyze the transcriptomes of edited plants with RNAseq to detect perturbations of gene regulatory networks. The application of CRISPR-Cas9 RNP-delivery methods to cassava will be a milestone in the development of DNA-free genome editing of farmer-preferred varieties. Our project will (1) develop these methods and (2) show that they can be used to modify and investigate a critical trait, cyanogenic glucoside content, in an important food security crop. The process of using CRISPR genome editing to engineer cassava plants that no longer produce cyanide. Figure modified from Gomez and Lin et al. 2018 (link), and Advanced Analytical. Simultaneous CRISPR/Cas9-mediated editing of cassava eIF4E isoforms nCBP-1 and nCBP-2 reduces cassava brown streak disease symptom severity and incidence.